“A pillar of fire by night, of cloud by day,” wrote Henry Wadsworth Longfellow in his poem, The Lighthouse. There is something magical about lighthouses that has fascinated writers and artists alike. Just visit the website of Fine Art America. At last count, this virtual flea market for artists and photographers had for sale more than 108,400 works on the subject. 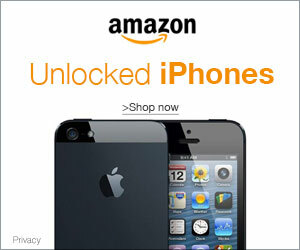 The items are printable on demand in various sizes, many costing less than a hundred dollars, unframed. Not all artists — and, surely, not all paintings — are created equal. Today’s democratised world of art is replete with works that may be good enough to display in one’s living room but not in the Louvre. 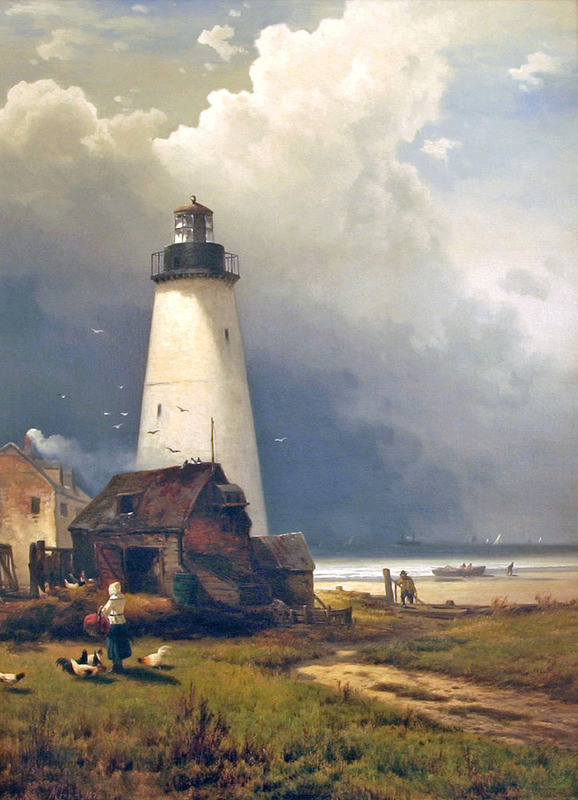 The following lighthouse paintings from another age belong to the latter category. They are not run-of-the-mill. They tower above the crowd. Standing near the southern entrance of the Bosphous in Turkey, the 85-foot tall Ahirkapi Feneri (lighthouse) as rendered by Diemer helps explain why many have fallen in love with such structures. The reflection of the lighthouse on the water seems to extend its height to enhance its majestic beauty. Note: The Ahirkapi lighthouse is still in use today, which is a testament to its enduring strength and beauty. 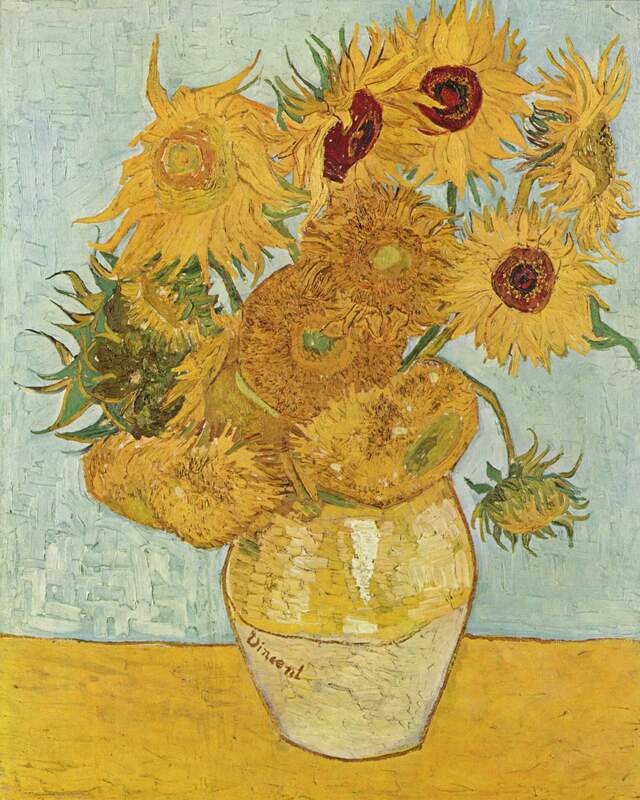 Hawthorne’s lighthouse brings to mind Vincent van Gogh’s 1888 painting, ‘Still Life: Vase with Twelve Sunflowers’. The tower and the lighthouse keeper’s inn are garbed in glorious yellow. The same colour is repeated in the clouds and the grass below to create a dazzlingly joyous atmosphere. 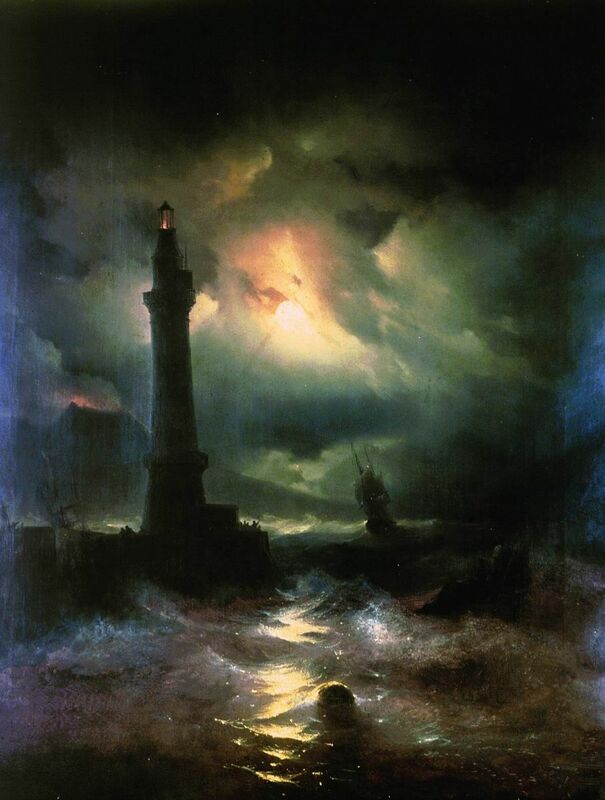 Aivazovsky gives his Romantic spirit full play in a symphonic interplay of light and dark. Not content with the glare of the moon and the muted glow from the lighthouse, he adds a volcano spouting fire in the background. This piece has a playfulness that is quite charming. At the same time, the jagged rocks and the tumultous breaking of the waves give a sense of violent energy but not of chaos. The separate and clearly demarcated blocks of colour (rocks, sea, clouds) are arranged like a child’s jigsaw puzzle. 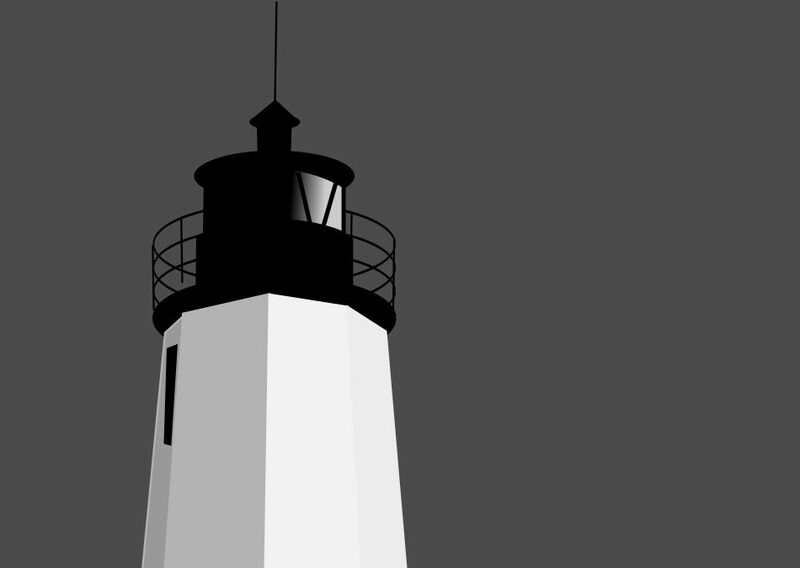 Although slightly leaning to the left, the lighthouse is symbolically solid and steadfast. 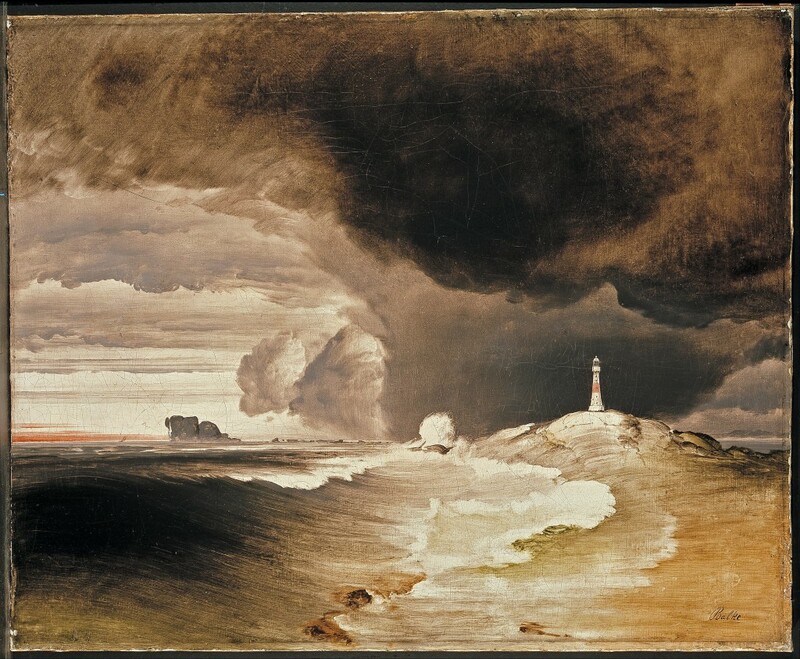 Massive swirling clouds conjoin with rushing ocean waves and a barren land to form one giant whirlpool in this Balke painting. The lighthouse looks puny but it stands regally amidst the gathering storm. 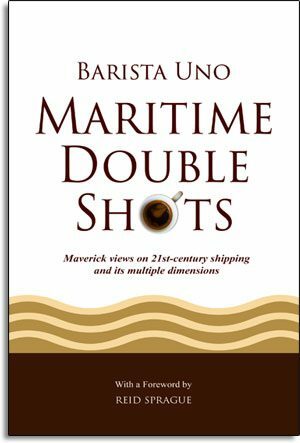 Given the dominant colour and vitality of the artwork, an analogy with espresso coffee would not be out of place. Peder Balke has made a lyrical composition that may be compared to a poem in three stanzas. 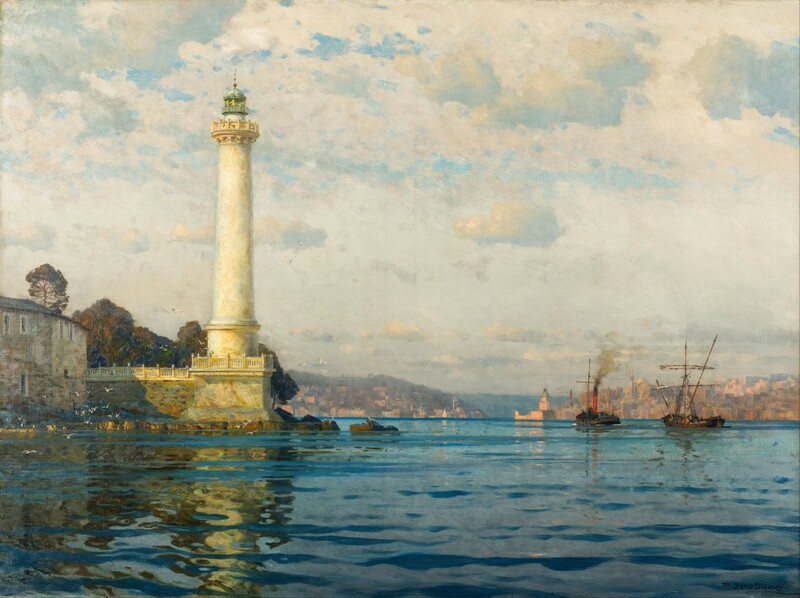 On the lower third of the painting is the commotion of the sea, followed by a misty view of the lighthoue and finally, the serene light blue sky, It’s a wonderful and subtle gradation of mood. 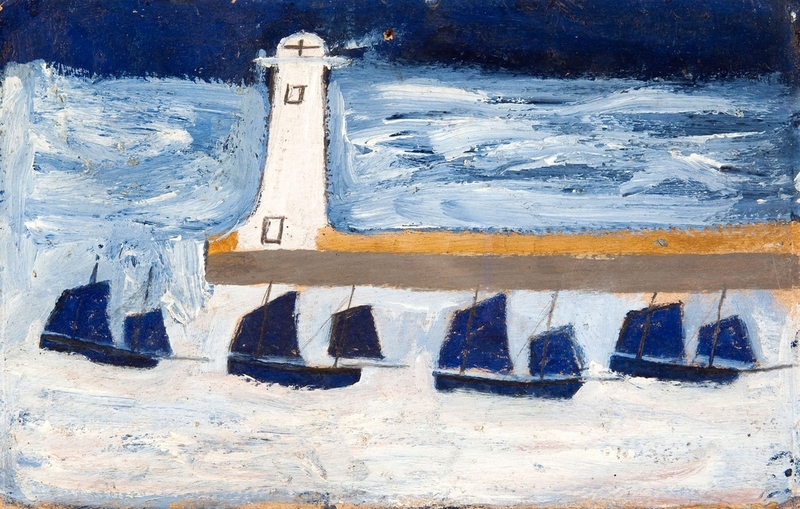 Wallis was a Cornish fisherman and self-taught artist. Like many of his works, this painting is sprightly and frolicsome. The small sailing ships (luggers) are like fish swimming out from the harbour under the guidance of the lighthouse. The yellow breakwater neatly divides the painting into two sections: the calm waters of the harbour and the uncertain world of the rough open sea. Although child-like, it is art with a mind element. 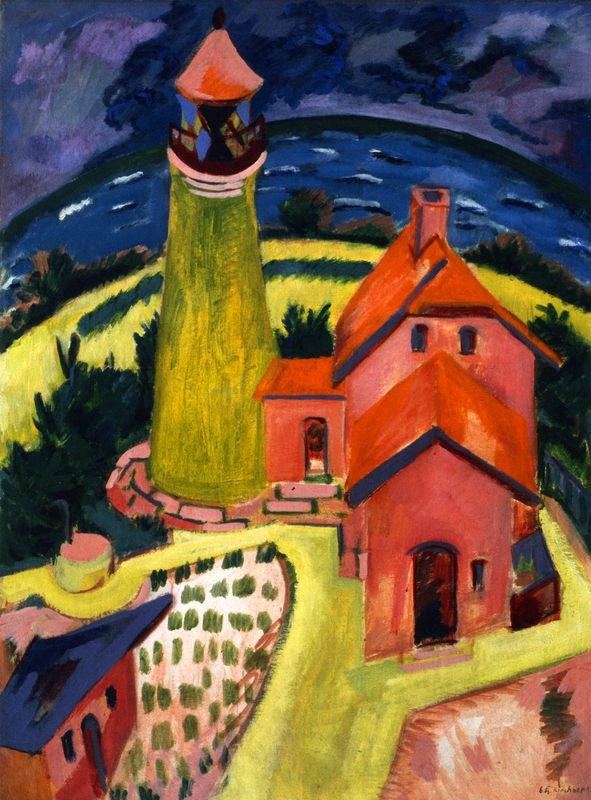 This could be a drone’s view of a lighthouse, except that Kirchner has distorted reality to offer his purely subjective take on it. Notably, the sea in the background is rendered as a photographer would view it through a fisheye lens. The bold colours and exaggerated brushstrokes make this a good example of Expressionist art and a real visual delight. 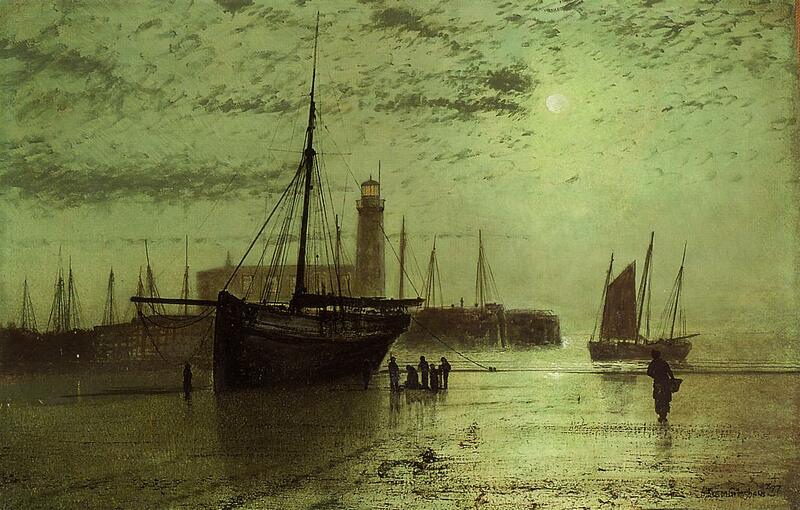 Grimshaw’s sublime waterfront painting makes one imagine entering a cathedral. One is at a loss for words to describe the beauty within. 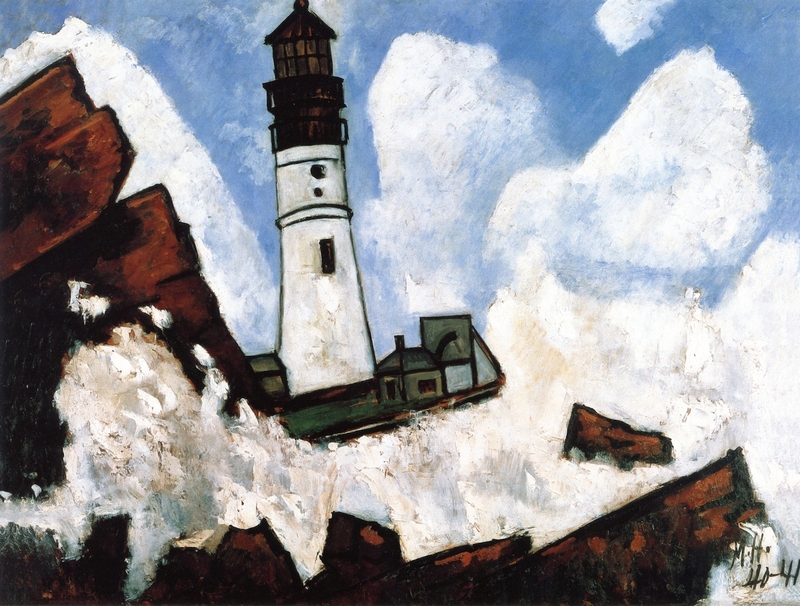 Although the entire scene is suffused with moonlight, the lighthouse draws the viewer’s gaze like a shadowy chalice on an altar. 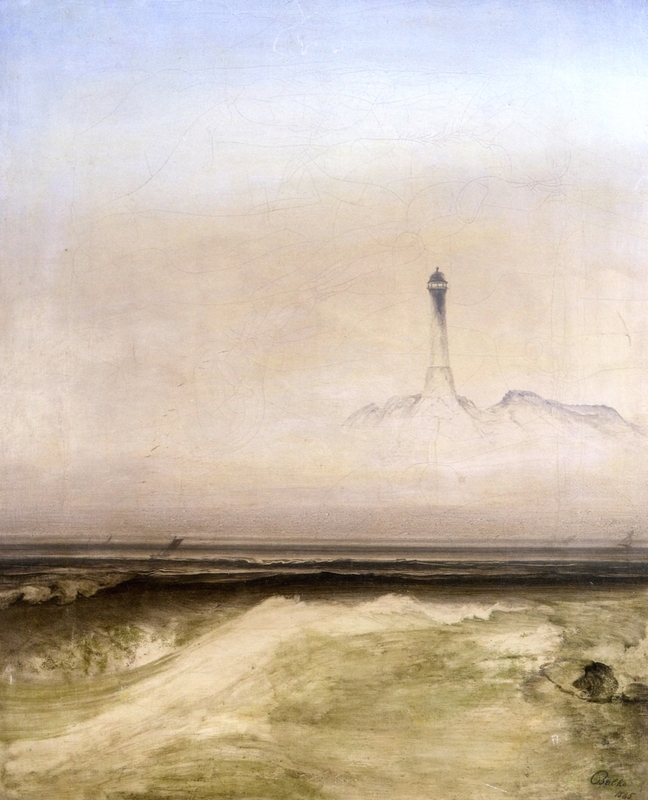 Moran, a prominent American marine artist, veers away from the commonplace image of the lighthouse as lofty, cold and isolated. The girl feeding chickens in the foreground and the languid smoke from the chimney to the left create a domestic, homey atmosphere. The mood is a bit laid-back. Yet, one gets a sense of foreboding from the sombre clouds and the dark grey sea, which contrast beautifully with the sunlit lighthouse tower. 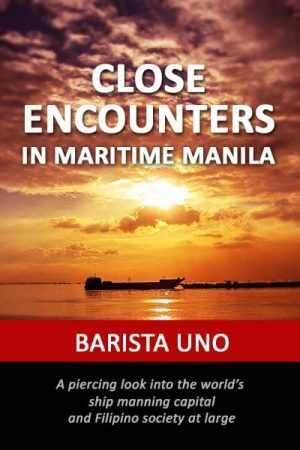 This article may not be reproduced without the express permission of the Marine Café Blog administrators. However, feel free to share it on social media or post a comment. Thank you very much, Lara. Sublime article. I like it. The Highland Lighthouse is my favorite qua painting style. It is really a baken, rock fest. The mood in Sandy Hook Lighthouse is very cosy in a way, like that too. 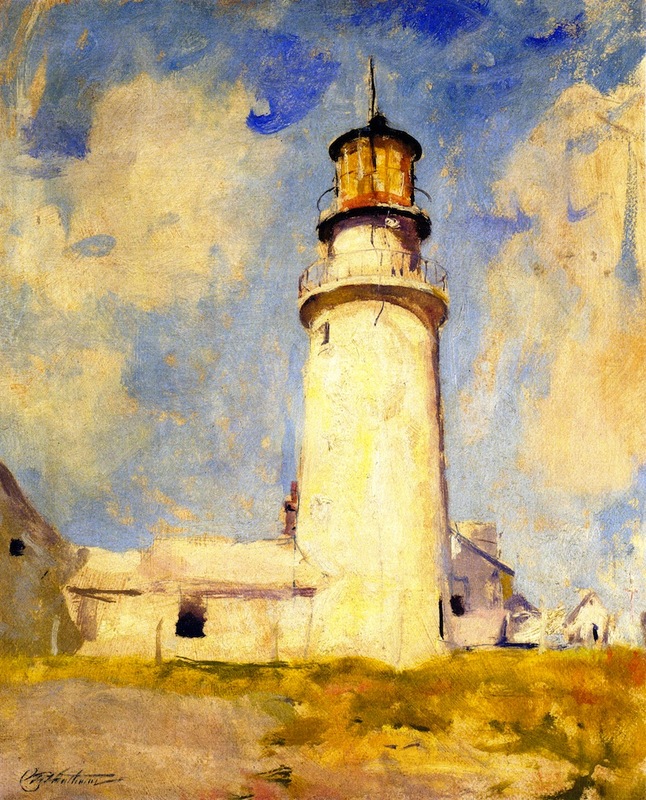 Altogether a very good article about lighthouses in paintings. Thank you! Thank you very much, Margriet. It’s wonderful to hear from an artist. Join to receive the latest news and updates from our team. PLEASE SUPPORT Marine Café Blog. 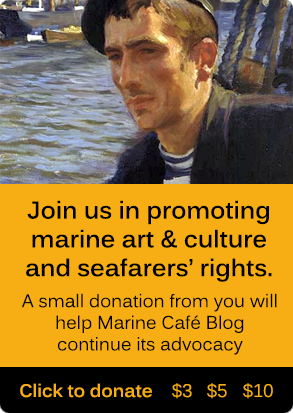 A small donation from you will help us continue featuring marine art and culture and seafarers' rights.